Is this the least bit surprising? Hearing some of Russian President Vladimir Putin's exploits almost makes him seem like a crazy Bond villain. The man knows Judo, tracks polar bears, and occasionally drives F1 cars. Just this past week, while attending the International Arctic Forum in Arkhangelsk, Russia, Putin decided he needed to personally inspect an ice cave close to a recently upgraded military base. 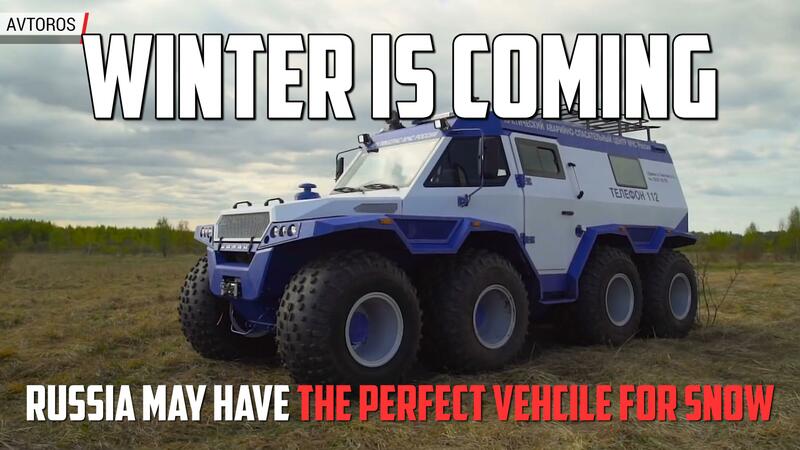 Taking a typical UAZ or GAZ isn't Putin's style, which is why he was cruising around in this crazy Trekol 6x6. Just look at it. It's almost comical in design, the kind of thing a kid would draw if you said, "What's a crazy Jeep look like?" The unimaginatively named Trekol-39294 is just one of several amazing products by the Russian automaker, including this sweet Trekol-Trophy. Listed online under the ATV tab, the 39294 has a fiberglass body and is called "the flagship of this class of equipment." It's a difficult point to counter. The three-door has seating for up to eight, with two bench seats in the back. While it may not be as robust as The Beast, we can't imagine Putin has too many enemies hiding in Arctic Russia. Maximum payload in the back is about 1,500 pounds. There are four available engines, two gasoline and two supercharged diesel. All in, the Trekol-39294 weighs just over three tons. Watch this video to see the full model line in action. It's weird and wonderful in the kind of way that only Russian videos can be. A man voluntarily gets run over, presumably testing a new form of punishment cooked up by Putin. Like we said, Bond villain.